How to get people to notice your business and your new blog? “Nobody notices me” – This is one of the most common challenges bloggers are facing! Especially when you are starting out, it is quite tough to make people to notice your business and your new blog. And if no one notices your blog, your business doesn’t have an online presence. I call it “the agony of no one notices me!” – How to get people to notice your blog when your blog is one among the millions of other blogs in the blogosphere? There is no point in having a great website/blog with awesome content – if no one pays attention, everything you do on that website/blog is total waste. 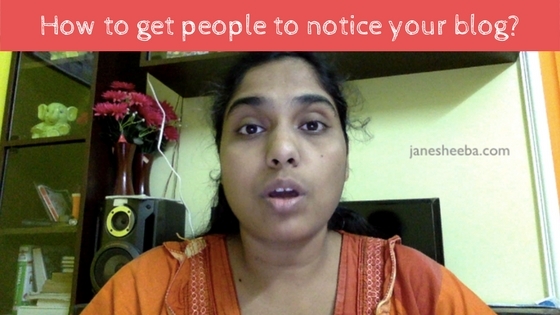 But hang on – here are the practical tips that will help you to make people notice you! Watch the video to know more! This can be a game changer for you especially if you are wondering how to make people know about your blog and business. Amazing tips on how to get people to notice your blog. I’m impressed at the quality of your video, as well as your tone of voice which is very essential. Out of topic, did you learn English in India, just curious because you speak pretty well. Anyway, your tips are great, having quality content, commenting and guest posting on other blogs, etc. 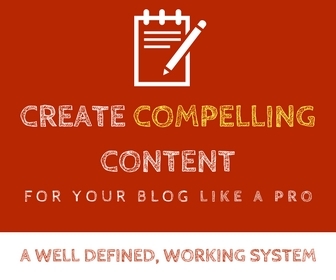 These steps will definitely help any blogger get noticed. Word of mouth – Tell people in your locality about your blog and new post. Make your content visible to search engines. Tell your real-life friends and ask them to share your latest posts on social media. And link to other blogs. These strategies are remarkably amazing. Yes, I learned English in India (I always get appreciated for my fluency). I lived in the UK for 5 years for my Ph.D.
Word of mouth is a wonderful thing isn’t? That’s free advertising. You just have to make sure you create something worthy for people to talk about. Thanks for sharing your opinion and stuff that works for you! “Nobody notices me”…thats what been happening to my website right now…your article is very informative along with the youtube video too. Glad you liked the post and video John! Really i must appreciate you for sharing such worth information.Initially even i was facing issue as how to make people notice my blog.Blogging is all about engaging with others and interacting in online discussions. When you link to a blog post, the blogger will likely find your blog through their stats, Technorati, or a pingback, and come to see what you had to say. Anyway, your tips are great, having quality content, commenting and guest posting on other blogs, etc. Thanks for stopping by and leaving a comment Asna. I’m glad you could learn new things from my post. Thanks for stopping by. Hi Jane, Really, simple and great post, I like author’s writing skills and youtube video . The article is well described and useful for everyone, keep writing articles like this. I discovered your blog a little over a year ago and have been coming back to it off and on since then. I started my new blog on a part-time basis, LiveLoveLaughBeHappy.com in January 2017 and have only been actively promoting it since December 2017. Generating traffic is slow but steady. I just saw your blog post video on How to get people to notice your blog. It has some good tips and just helped to reinforced what I already know. I also really liked your older blog post by Harleena Singh on how she drove traffic to her blog by joining Facebook groups and participating in them. Though I am having trouble finding it once again on your site. I was hoping you could send me the link to it. Anyway, I just wanted to say Hi and introduce myself to you. Keep on providing good blogging info as newbies like me can really make use of it. An awesome article every blogger should use these tips to make advertise the blogging really effectively. These tips are really cool to do make my blog notice awesome. I learned a few things today, thanks for the informative article. Nice Articles thanks for sharing this Articles, I am truly motivated reading your Articles, I want to grow with you and help the others person, hopefully request you please accept my request , thanks you. Stuck with affiliate marketing? These 7 powerful tips will unstuck you!